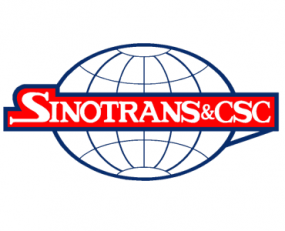 The Chinese freight forwarder Sinotrans has reported first half revenues of CNY27.6bn for the first half of 2017, up by 27.4% year-on-year. Operating profit was up by 34.3% to CNY1.2bn. The company’s revenues were evidently boosted by favourable market conditions. Sinotrans noted that year-on-year throughput growth at Chinese ports was 8.8% in the first half of 2017, up from just 2.5% for the same period a year ago. Moreover, the Chinese Container Freight Index (CCFI), an aggregate tracker of Chinese ocean freight rates, increased by 19.8% year-on-year in the first half of the year, compared to a fall of 28.8% for the same period last year. In this environment, Sinotrans’ freight forwarding division reported revenue growth of 29.1% to CNY15.9bn, while improving its operating profit by 31.0% to CNY0.5bn. Sinotrans’ sea freight forwarding volumes increased by 6.5% for the period, while like many other of the world’s leading forwarders, it achieved double-digit air tonnage growth in the first half (12.3%). Its Logistics division also had a strong quarter, with both its revenue and tonnage handled up by 16.5% respectively. The Storage and Terminals Services segment followed suit, with revenues increasing 20.6%, while container and bulk volume at its warehouse and yard operations increased by 19.3% and 20.3% respectively. Volume growth in its documents and packages express business was over 540%, with the company handling almost 20m units.